Milan, March 1 2010 – Develop and encourage responsible design for recyclable objects made of recycled aluminium, particularly with aluminium from separate refuse collection of packaging such as, for instance, beverage cans, food cans, trays and even fine aluminium foil, to promote the use of this precious material, while making the most of the creative flare and professional skills of young designers. 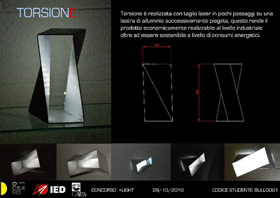 These are the goals of the design competition “ReAl13 +Light” promoted by CiAl – National Consortium for Recovery and Recycling of Aluminium, underpinned by the scientific know-how of IED – European Institute of Design and in cooperation with Oceano Oltreluce, company specialised in the production and design of light sources and lamps. 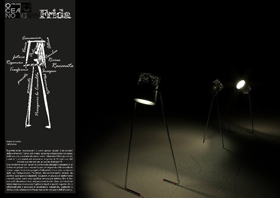 The competition, which was open to both individual students and teams from IED branches based in Milan, Rome, Madrid and Barcelona, has recorded exceptionally high levels of participation, with 170 registrations on the website www.real13.eu and 170 project presentations from which the jury has selected the five finalist projects. 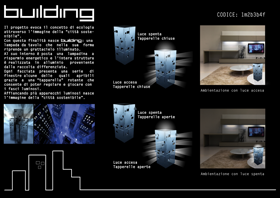 These will be presented at the next Furniture Fair in Milan (April 2011) with prototypes produced by the company Oceano Oltreluce. 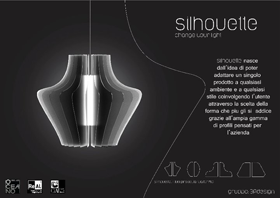 The single winner will be chosen only after the prototyping phase and exhibition held at the Furniture Fair. The winning project shall fully represent the environmental message conveyed by the CIAL, and it shall be published in the corporate catalogue, which is an excellent window for the young winner-designer. 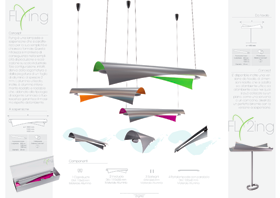 In addition to the five finalists the jury selected 20 projects semi-finalists will be presented at next Salone del Mobile in Milan (12/19 April 2011).